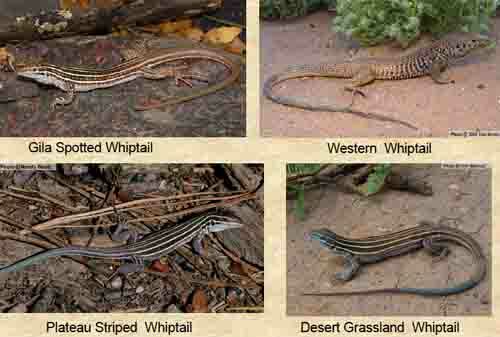 All of the types of lizards listed below and pictures are found in captivity at zoos or in home lizard cages. 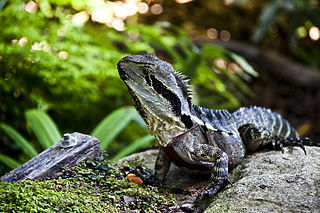 The first section lists lizards by what they eat, and the second section lists lizards based on their habit. 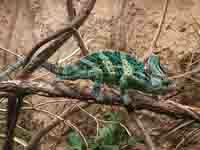 Note that regardless of primary food groups, must lizards benefit from a varied diet that includes plants, fruit, dark leafy vegetables, insects and some meat. 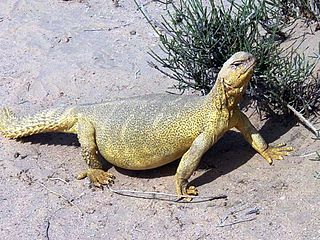 That said, there are complete commercial diets available for certain lizard breeds. 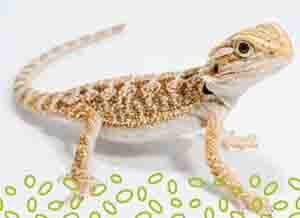 See our section on Lizard food. 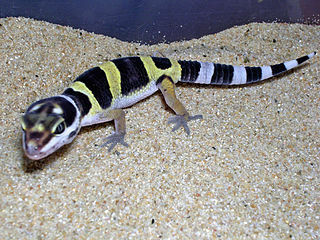 Geckos: Differ from other lizards in appearance (head is triangular with a neck, feet allows the Gecko to climb up the side of a terrarium, the tail is long and narrow at the base and thick in the middle). 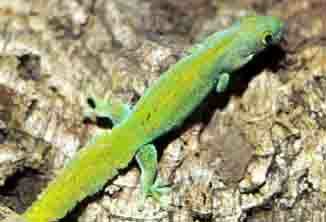 Geckos can also vocalize. Most have fused eyelids, so they cannot blink. Eat a variety of insects and have even been rented to eat roaches in apartments. 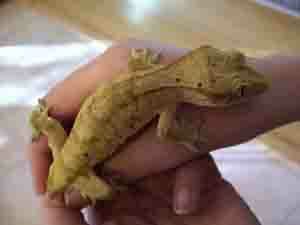 One type of Gecko, Leopard or Eyelid Geckos cannot climb walls. 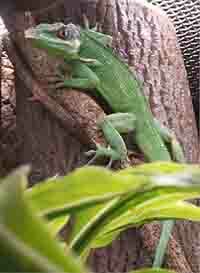 Savanna: Popular large reptile kept in 6x6x10 cages. Will inflate body and lash the tale if frightened. Nile: Common pet, but will claw, lash and bite. Also kept in large cages. 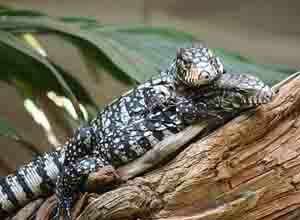 Usually Black and Gold South American lizards. 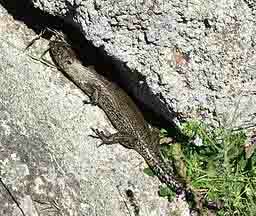 Basking areas are kept at 100 degrees, with other areas at 85 to 90F. They will eat most foods, but also require big cages. 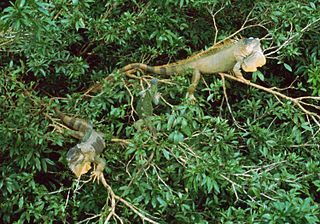 Omnivorous Lizards (Eat Plants and Meat): This is the largest category of lizards. 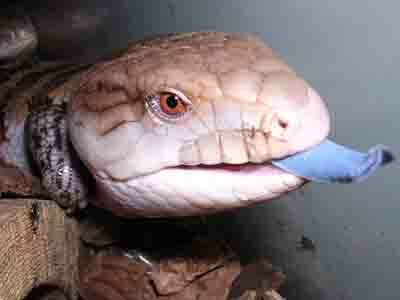 Australian (Eastern) Blue Tongued Skink: The Blue Tongued Skink requires a 18"x48" gallon reptile terrarium. 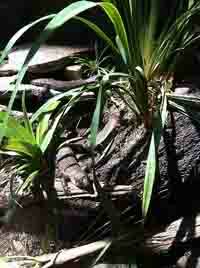 They grow to 17 inches long and have a life span of over 20 years. Adults need to be housed in a 40 to 44 gallon aquarium. 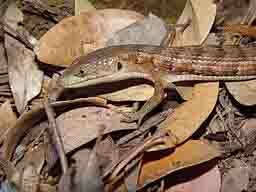 The Skink eats 60% plants and 40% protein such as frozen mice. 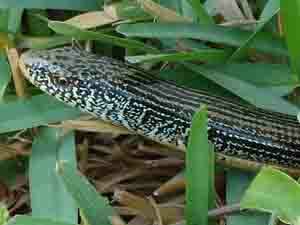 Download this fact sheet on Blue Tonged Skink care. 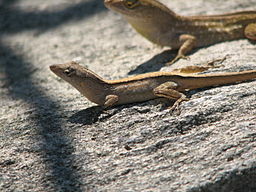 Click on the lizard name for descriptions, lizard pictures and habitat. 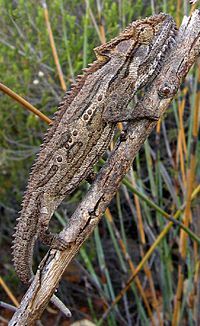 Horned and Spiny Lizards Slow and squat. 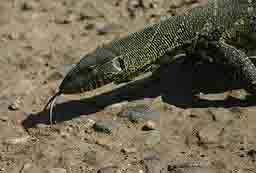 Feed and ants making them difficult lizards as pets. 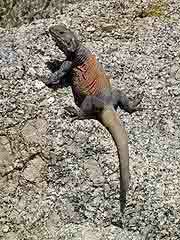 Keeping a Horned Lizard may be against the law in some areas.